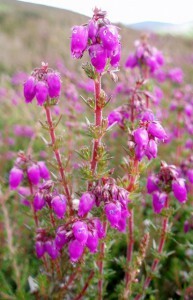 Bell Heather is the plant badge of Clan MacDougall. However the plant is sometimes also referred to as Ling – derived either from the old Norse ‘Lyng’ or from the Anglo Saxon ‘Lig’ meaning fire and referring to use as a fuel. 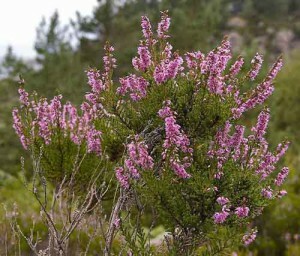 In the mountain regions of Europe the plant is still used to make a liniment for arthritis and rheumatism by softening the herb in alcohol.